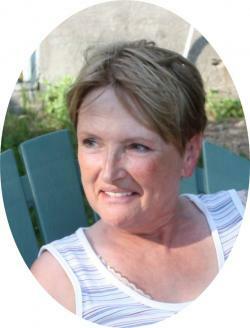 Deborah (Deb) Gail Smith, 64, of Petitcodiac passed away Thursday, November 15, 2018 at her home with her family by her side. Born in Moncton, she was the daughter of the late Harold and Louise (Bulmer) Flanders. Deb was a homemaker, a former volunteer with S.P.O.T. and Moncton Victim Services. She was a very proud Nanny and spending time with her grandchildren brought her much joy. Deb had a love for animals, especially her three dogs and she enjoyed the outdoors and four wheeling with her girlfriends. She is survived and sadly missed by her husband of 45 years Douglas; children Kami Smith (Jerry) and Ben (Megan); cherished grandchildren Dalton, Matthew, Reese and Morgan; brothers and sisters-in-law Brian Smith (Vera), Barb Melvin (Gary) and Sheila Surrett (Larry); siblings Carolyn Flanders and David Flanders and several nieces and nephews. Besides her parents Deb was predeceased by her father and mother-in-law Harris and Phyllis Smith. Resting at St. Andrews Anglican Church, Petitcodiac, visiting will be Tuesday, November 20 from 6 to 8 pm and from where the funeral will be held Wednesday, November 21 at 2 pm with Rev. Chris Hayes officiating. Arangements are in the care of Salisbury Funeral Home (372-4800). If desired, memorials to the Moncton SPCA or a charity of choice would be appreciated by the family.